I love trees. All sizes, colors, species — as long as they’re natives or well-behaved non-natives. No invasive exotic species, please! We’ve all appreciated the welcome shade of a wide-reaching oak, or the Christmasy scent of pines in a cozy grove. Trees symbolize stability; their roots anchor deeply into earth; their branches reach forever skyward. 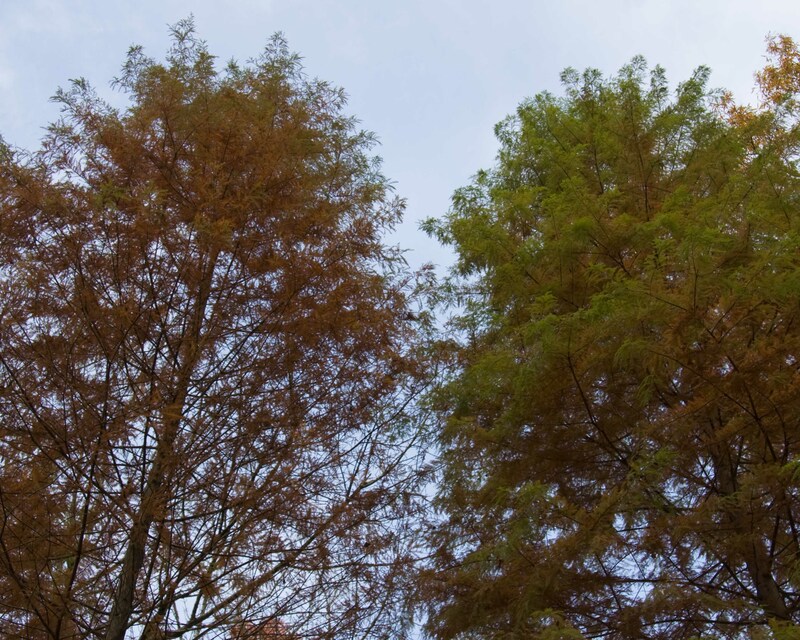 In the southeastern US, the best time to plant trees is mid-to-late fall through late winter. I usually try to get all my planting done before the end of February, but if March holds on to winter’s chill, I’ll pop in a few more new trees and shrubs during that month too. 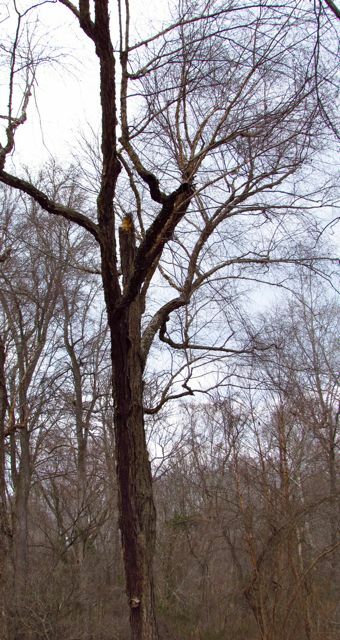 As long as the ground isn’t frozen, the roots of new dormant trees can grow, allowing them to develop strong anchor and feeding roots before summer’s heat stresses them. Planting trees — especially our native canopy species — requires vision — time-traveling vision, actually. You must visualize the magnificent specimen your tree will become long after you are gone. You plant these trees for your children, and their children. These are family trees. Not only human families will appreciate your visionary plantings. Myriad species of native wildlife rely on mature/maturing canopy trees for shelter and food. In Douglas Tallamy’s book, Bringing Nature Home, he provides a table that lists these tree species and the number of lepidopteran (moths and butterflies) species that rely on these trees to feed their caterpillar stages. 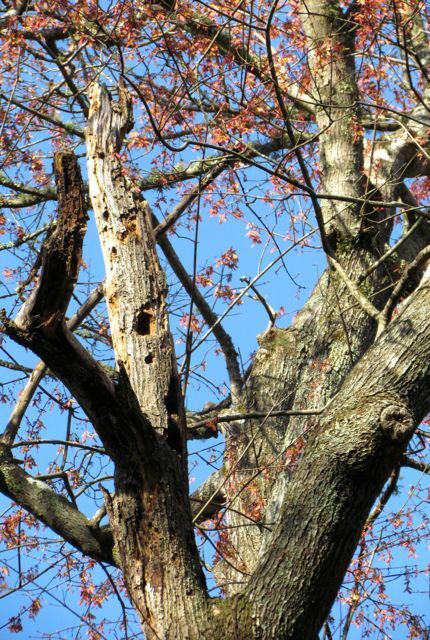 Woodpecker hole in a blooming mature Red Maple. Now think about all the insect-eating birds, mammals, reptiles, and amphibians that eat the insects that rely on these great trees. Of course, many of these creatures also live in these trees. Truly, these are family trees, and we are all members of this family. This tree is part of a group of River Birches, all 80 feet or taller. I hope you’ll consider planting some new native family trees this fall. If you can, plant them with a child to remind both of you that family trees link us through generations, reaffirming our ties to all species, reminding us that we are all lost without trees. A mature native dogwood approaching peak autumn color. It’s that time of year again — planting time for trees, shrubs, and perennials in the southeastern Piedmont. As I’ve stated before, autumn planting gives plants time to focus on root growth while the soil is cool but unfrozen and deciduous plants don’t have to expend energy on leaf production. I’ve offered advice on tree planting before here. But in that post, I was emphasizing issues related to trees that eventually attain canopy status. Today, my focus is on the more diminutive trees — occupants of the forest understory. 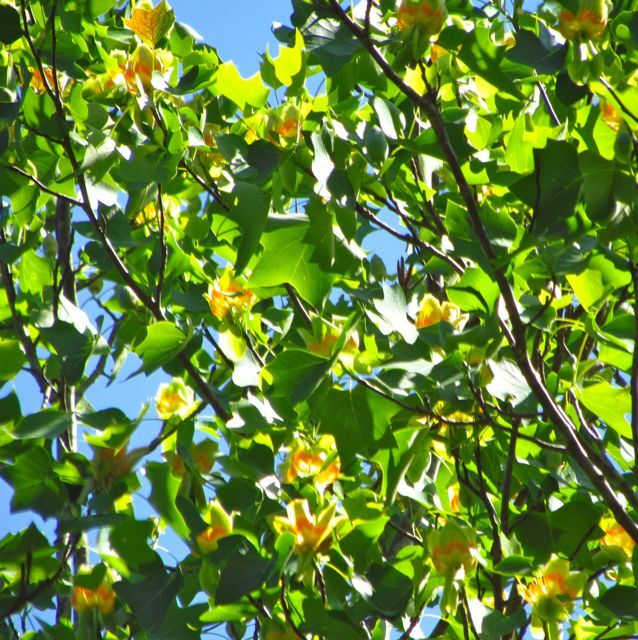 Many of our native southeastern trees in this category comprise some of our better known ornamental trees: dogwoods, redbuds, sourwoods, fringe trees, Carolina silverbells, deciduous magnolias. 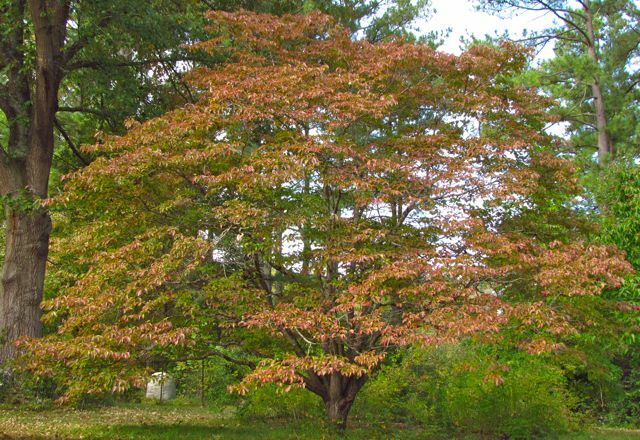 The list is long, and depending on how you define the height of your understory, it may include large shrubs, such as our native deciduous azaleas, viburnums, and vacciniums. All of these woodies produce gorgeous flowers, most in spring through early summer. I fully understand why Piedmonters fall in love with these beauties and want to add them to their home landscapes. And they absolutely should, but I would like to suggest that, before you plant, you consider the environmental context of the tree/shrub you want to add. Understory trees and shrubs, by definition, dwell beneath the forest canopy giants — oaks, hickories, sycamores, ashes, beeches, maples, sweet gums, tulip poplars, pines. If you look carefully at a Piedmont forest, you’ll see that the understory dwellers grow along forest edges and within clearings, places where they have access to sunlight, but are still shielded by nearby forest giants. By growing along forest edges, smaller understory plants are protected from strong winds, and they are shaded for part of the day. In my yard, I’ve tried to plant new understory beauties in spots where they are sheltered by canopy giants, but will still receive enough sunlight to bloom and prosper. Here in the southeastern US, our afternoon summer sun is brutal, so I’ve sited new trees so they are shaded from that searing heat by nearby larger trees. I didn’t plant the mature dogwood in the top photo, but I suspect it is thriving because it is protected from western sun by the nearby southern red oak you can just see on the left of the picture, and the mature pine trees further back. 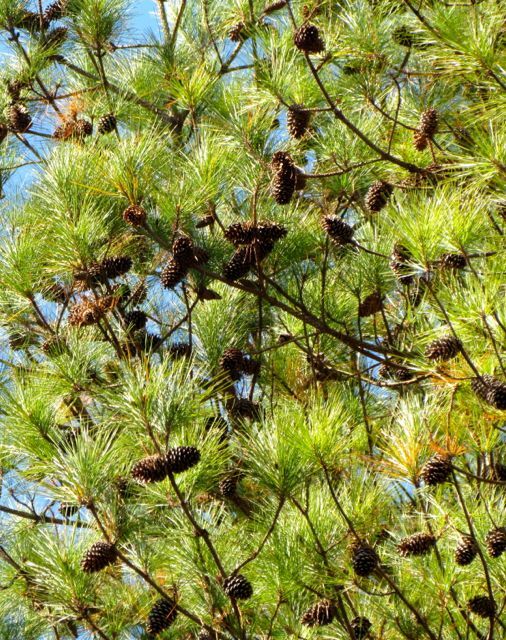 Pine trees are especially good at protecting evergreen understory trees, like camellias, and early bloomers, like Royal Star Magnolias. My Royal Star Magnolia is nestled beneath tall loblolly pines that protect it from harsh north winds and late freezes. Winter-blooming camellias benefit from a similar location. Try to resist the urge to plant a single dogwood, redbud, magnolia — insert your favorite small blooming tree here — in the middle of your front lawn, where it will be bombarded by sunlight all day; shallow roots will be damaged by any chemicals (fertilizers, herbicides) you add to the lawn. And the watering regime applied to most suburban lawns will encourage shallow root growth, meaning your tree will be susceptible to toppling in strong winds and dying from drought when you can’t water. 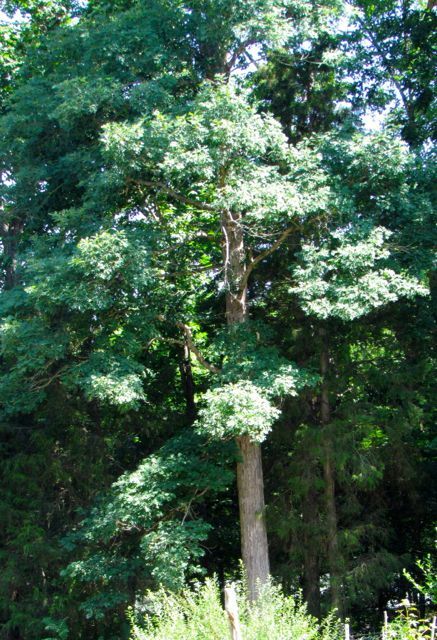 Instead, plant your understory tree in the front of a “natural area” with larger trees. If you have no larger trees, buildings can be used the same way. Trees planted near the east- or north-facing sides of your house will be protected from the harshest winter winds and hot summer sun. Your house becomes a substitute forest canopy giant for your small tree. Understory beauties can help each other if you plant several near each other. Create a large planting bed by removing a patch of lawn, tilling the soil to a depth of at least a foot, and adding some organic matter like decomposed leaves to create a fluffy planting bed more akin to the forest duff such plants naturally grow in. 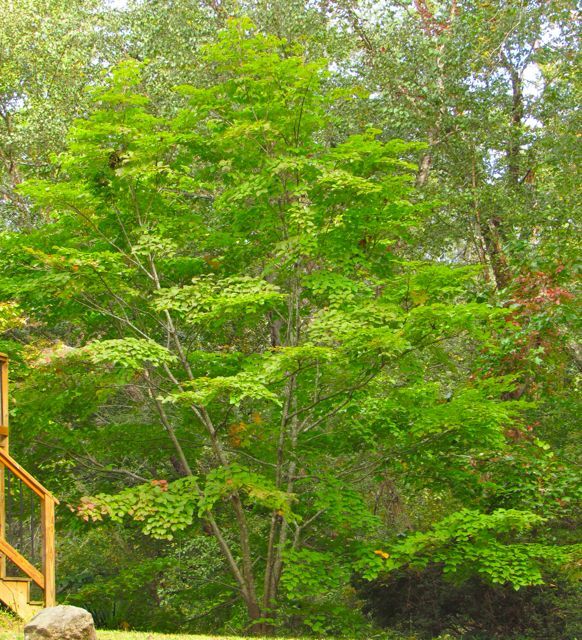 Plant your trees far enough apart to account for their eventual mature size. Don’t add any fertilizers when you plant. This only stresses the roots. Add an inch or two of organic mulch (shredded wood lasts several years) and water well. By providing a more natural planting area and combining several plants in one space, you’ll create a much better growing environment for your additions, and the visual appearance of your landscape will be much more appealing. Also, when you group plants, you create appealing habitat for native wildlife, and as your trees mature, you’ll be able to add native wildflowers and ferns to fill in open spots. Working with living plants is always a dynamic adventure. Every day of the year, your trees and shrubs will look different as blooms and fruits come and go, birds feed and nest, squirrels squabble, and the sun highlights different angles as it treks across the sky through the seasons. If you provide understory trees and shrubs with what they need, the beauty you receive in return will multiply every year. Fall is for planting, and I’ll bet that almost any home landscape could be enhanced by the addition of at least one new special tree. Get thee to a local nursery; most are holding sales. Seize this autumnal opportunity while you can! A thirty-foot tall kousa dogwood thrives in our backyard, where the house shades it from searing afternoon summer sun. 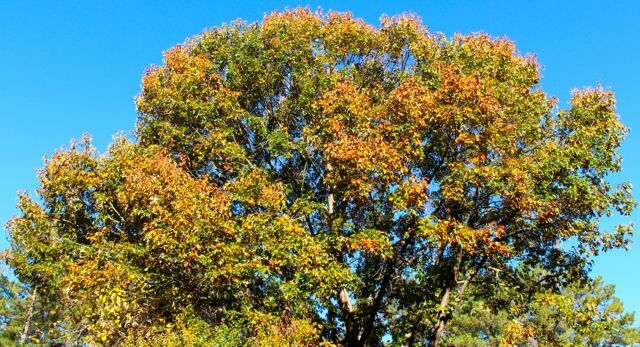 As most piedmont gardeners know, the best time to plant woody trees and shrubs in our region is late fall through the winter months. As long as the ground isn’t frozen, it’s a good time to plant. Because the woodies are dormant, they put all their resources into root development. Sturdy, well-developed root systems improve their chances of surviving summer heat and drought. 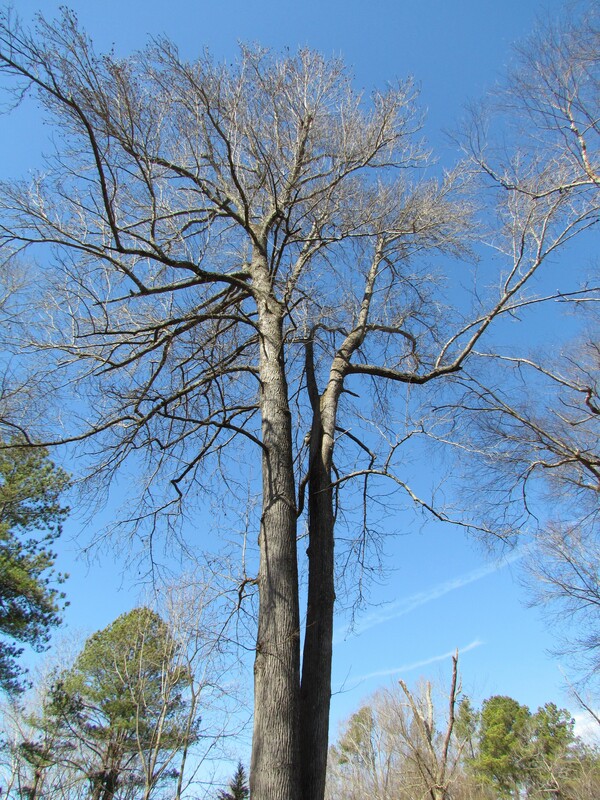 If you are contemplating adding a few woody plants to your yard before spring arrives, when you pick a spot for the new plant, please remember to look up. Do you see power lines overhead? If your tree/shrub is likely to exceed 15 feet, you need to take a few steps back before planting, so that your new woody can grow tall without upsetting the utility companies. Even if your new plant won’t be near a power line, before you start digging, you still need to look up. For example, my yard is graced with quite a number of mature hardwoods. These enormous beauties can fool you in winter when their branches are bare. I must remind myself just how widely their leaf canopies spread in summer. So when I’m contemplating adding a new woody near my forest giants, I spend a lot of time squinting at the sky, noting where neighboring oaks, sweet gums, and tulip poplars cross branches high above. If the canopy is completely closed over my head, I know that only plants tolerant of deep shade will be happy. I look for holes in the canopy, and if I find a good one, I try to imagine how much direct midday sunlight my new plant might receive. Knowing how sun slants through my landscape as it rises and sets, I try to imagine how much angled sunlight the plant will receive. If I deem it likely to be enough light for the new plant to flourish, I start digging. Of course, just because there’s a hole in the canopy when I plant a new tree doesn’t mean it won’t close as the forest giants towering above continue to spread their branches. In a few cases, I’ve had to relocate a smaller tree to ensure it optimum growing conditions. Gardening is an intuitive science. It requires thinking in four dimensions, which isn’t easy and takes years of practice. The good news is that if we goof, gardening is also a fairly forgiving science. Still, speaking as the voice of experience here, I encourage you to save yourself from much frustration by remembering to look up before you look down.